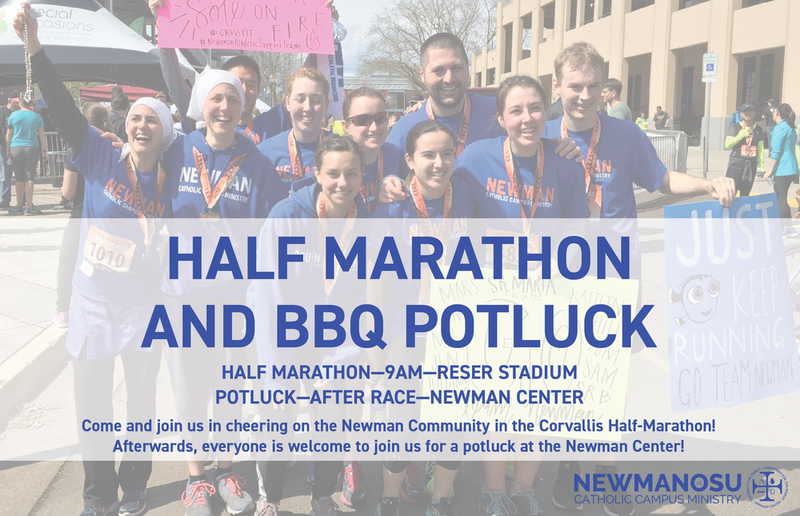 We will be cheering on the Newman community members as they run in the Corvallis Half-Marathon. After everyone is welcome to join us for a potluck at the Newman Center. The half marathon starts in Reser Stadium at 9am, with a route going all over campus and Corvallis. Visit this link to see the full course map. The potluck will begin around 1pm, after the last Newman person finishes the race.